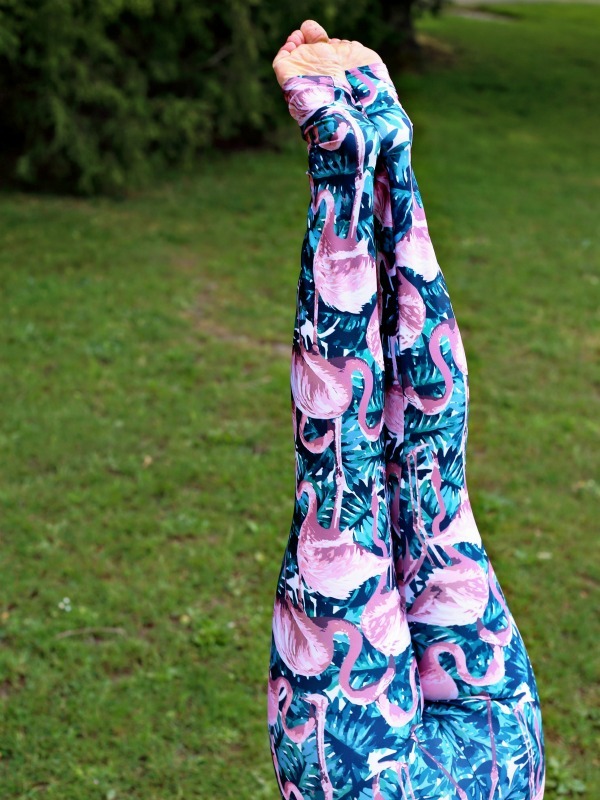 Fitness Style: FLAMINGO LEGGINGS, YES THESE ARE FOR REAL. I love flamingos; I love yoga pants, so when I saw that PINS TO KILL had flamingo yoga pants I had to have them. I know what you're thinking they look almost too cute to withstand a hot power vinyasa class. I am happy to report they were comfortable, kept their shape, as in supported me - no having to pull up my pants in class - and at least three people asked to where I got them. I love when clothes are conversation starters. If Flamingos are not exactly your jam Pins to Kill has some other brilliant designs, and you can also design your own.